Dimensions of paper roughly twelve and a half inches by fifteen and a half. Dimensions of plate roughly eleven inches by six and a half. On top of a stone plinth two eagles support a crowned crest with shell motif, showing a crowned eagle over a castle. The inscription on the base reads 'DIANAE FABVLAS | OLIM | A DOMINICO ZAMPERIO | PICTORE | VVLGO DOMENICHINO | IN PALATIO BASSANI | PRINCIPIS IVSTINIANI | DE PICTAS'. Apparently the frontispiece or engraved title to an oblong folio volume published in 1713. All four items tastefully and crisply printed. ITEMS ONE AND TWO ('Catalogue' and first number of 'Album'): Both 8vo, bound together in original dark-green wraps. 'Catalogue': 12 pp; 'Album': 22 + [i] pp. All edges gilt. Wraps creased and worn, with slight chipping at head of spine. Some creasing to prelims and last few leaves. 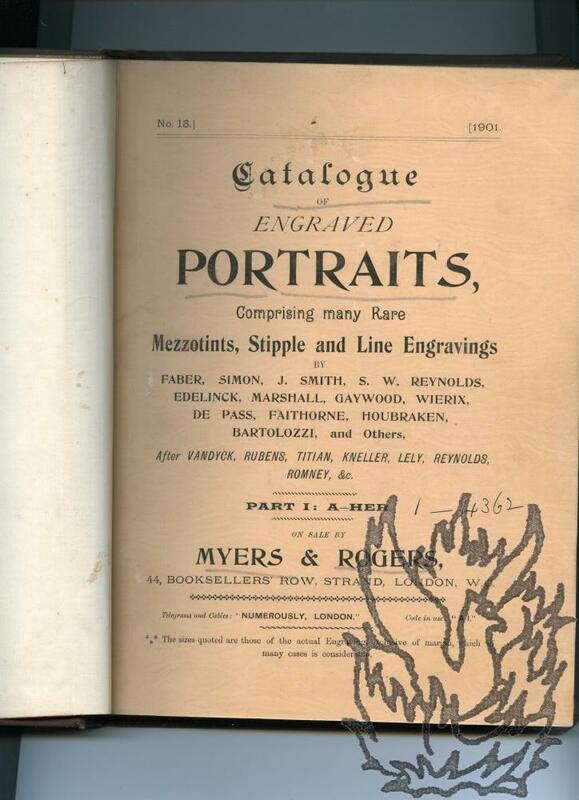 Note to 'Catalogue' (by 'D. L. | S.') explains that the 'following List contains the titles of such Books as have been printed for the Bannatyne Club since its Institution in February 1823'. 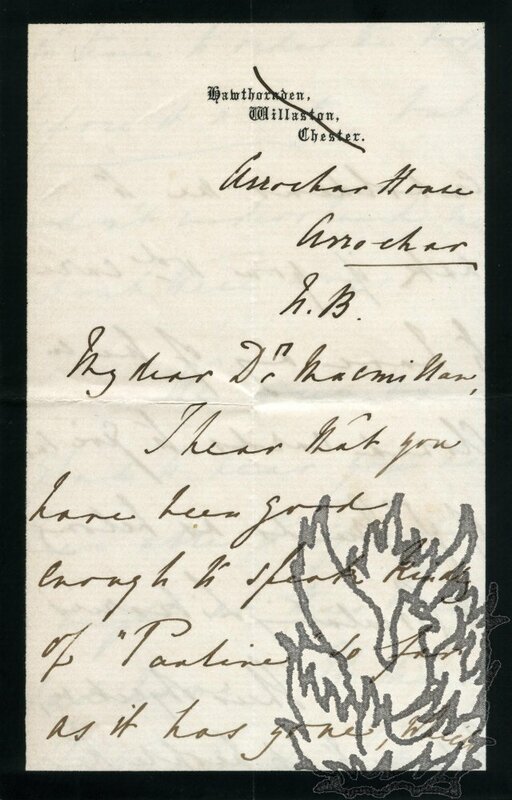 Autograph Letter in the third person to 'Dr. 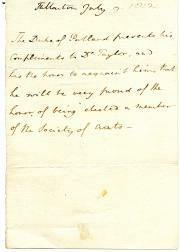 Taylor', accepting election to the Society of Arts. 12mo, 1 p. Fair, on aged paper. 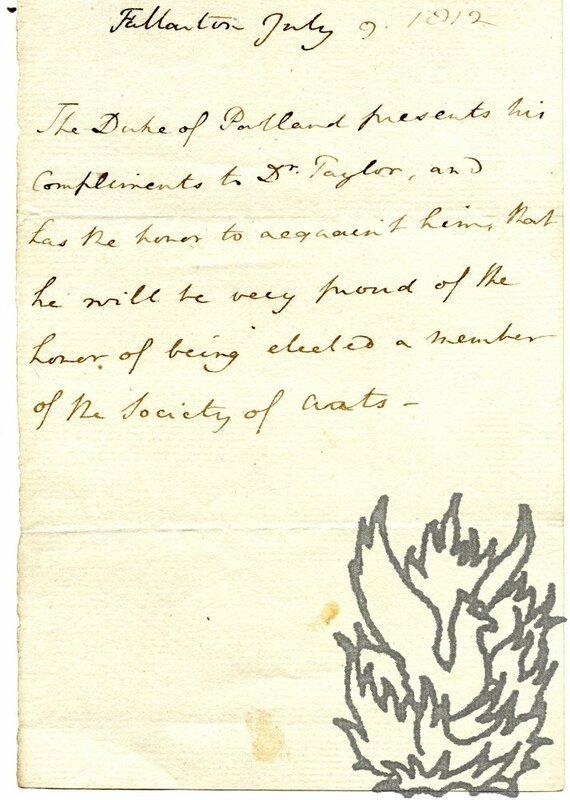 Reads 'The Duke of Portland presents his Compliments to Dr. Taylor, and has the honor to acquaint him that he will be very proud of the honor of being elected a member of the Society of Arts -'. Typed Letter Signed "Archie Black" to J.G. 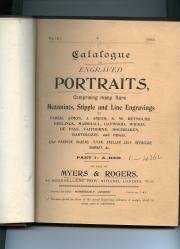 Wilson, John & Edward Bumpus Ltd.
Archie [presumably Archibald] Black, publisher (of A. & C. Black). 4,5, & 6 Soho Square, London, 18 Nov. 1932 (A & C Black headed notepaper). One page, minor defects, text clear and complete. He would like to see some drawings which have beeen mentioned, and will call in. 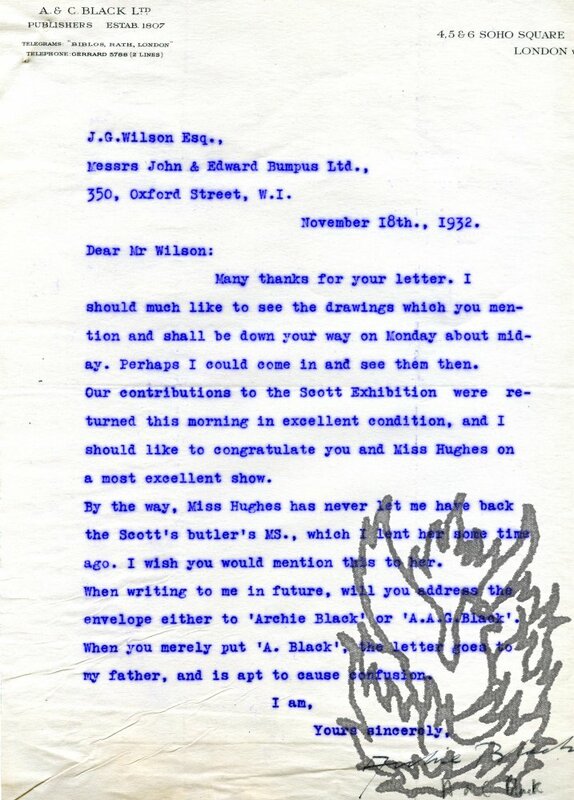 "Our contributions to the Scott Exhibition were returned this morning in excellent conditio, and I would like to congratulate you and Miss Hughes on a most excellent show. 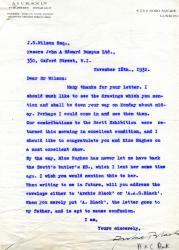 | By the way, Miss Hughes has never let me have back the Scott's butler's MS., which I lent her some time ago. I wish you would mention this to her." 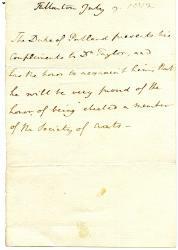 He concludes by asking Wilson to address letters to "Archie Black" or "A.A.G. Black" to avoid confusion with his father. On a piece of good wove paper, roughly 415 x 260 mm. Dimensions of engraving 180 x 220 mm. On aged paper and with the margins of the leaf trimmed. Laid down along the right hand margin runs a strip of blue paper, 30 x 410 mm, which it may be possible for a professional restorer to remove. This edges the border of the print (which is clear and entire) and overlaps a few letters of the text. Neatly coloured in sombre tones. 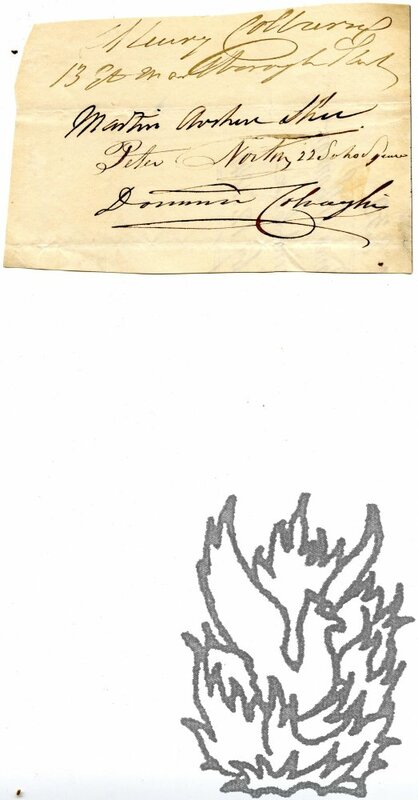 Autograph Signatures of Colburn, Shee, North and Colnaghi, removed from Artists' Benevolent Fund application. On one side of a piece of paper roughly 8 x 12.5 cm. Good, lightly aged. Reads ' Henry Colburn | 13 Gt Marlborough Street | Martin Arthur Shee | Peter North 22 Soho Square | Dominic Colnaghi'. Fragment of docketed manuscript record of the case on the reverse: '<...> 830 | <...>nes O'Connor | <...>ent Case | <...>y 12th. 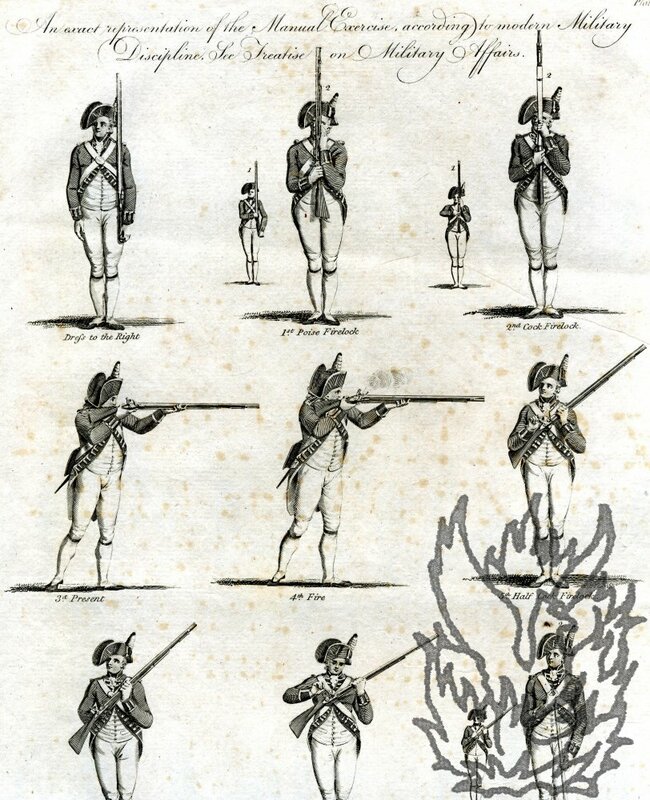 1841'. 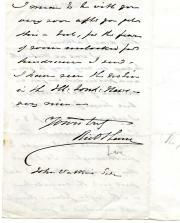 Autograph Letter Signed ('L. B. Walford.') to 'Dr. Macmillan' [a member of the publishing house?]. 12mo: 4 pp. Bifolium with mourning border. 30 lines of text. Good. She has heard that he has 'been good enough to speak kindly of "Pauline" so far as it has gone', and wonders whether he would distribute, to 'such of yr. Friends as belong to Circulating Libraries', cards 'to let people know in time to order the book before it is out'. Her family are pleased that Macmillan has 'been able to spend a night at this beautiful sad home - It did my Father good, I know. Undated. 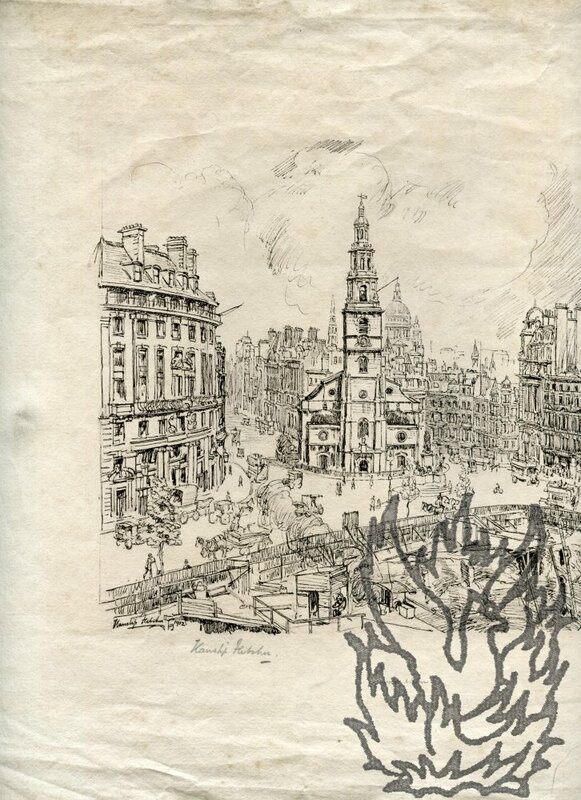 On letterhead of 88 Kensington Park Road, London W.11. 12mo: 1 p. Eight lines of text. Good, though creased. 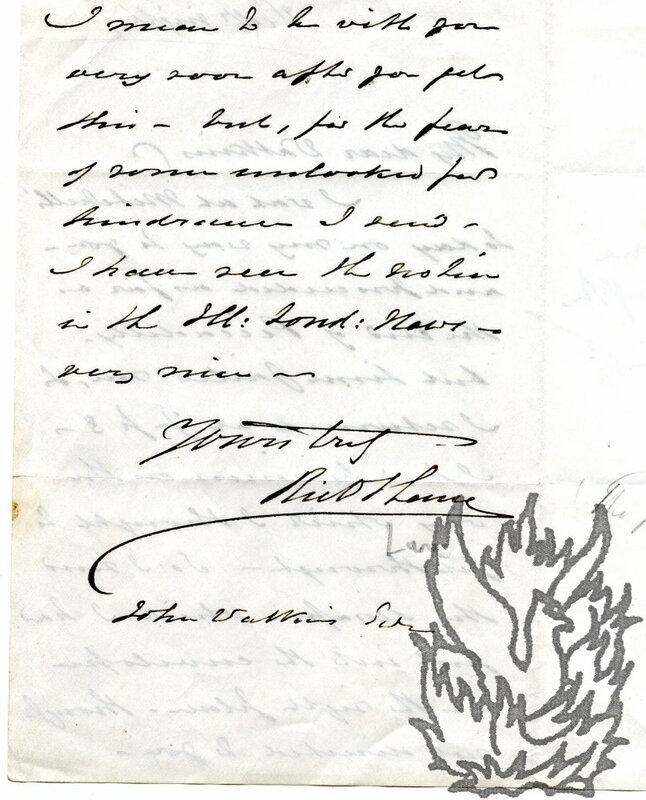 Letterhead printed with the words 'Joan Hassall' and a 5 cm short rule decorated with a tiny dove. She apologises for the delay in sending 'this signature': 'I lost your nice little piece of paper, and then I broke my pen.' 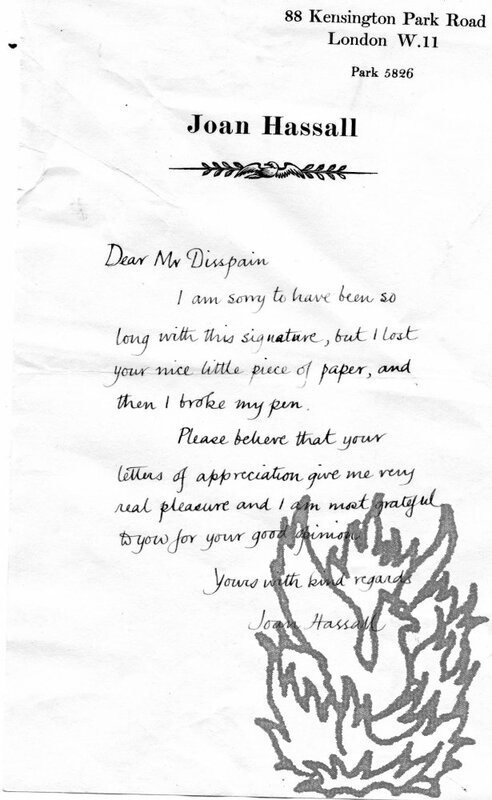 Disspain's 'letters of appreciation' give Hassall 'very real pleasure' and she is 'most grateful' for his 'good opinion'. 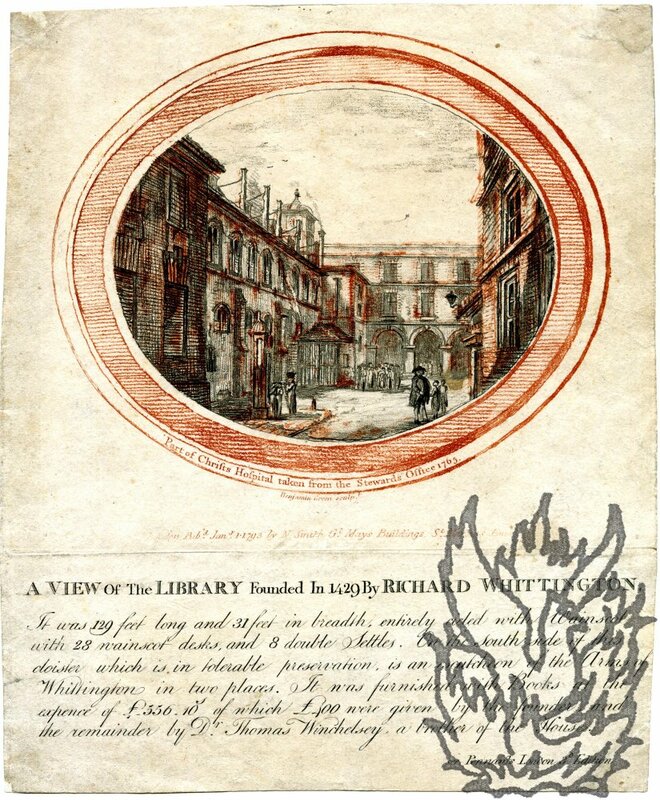 Engraved illustrated copperplate poem publicising the opening of the Fullers' Temple of Fancy. 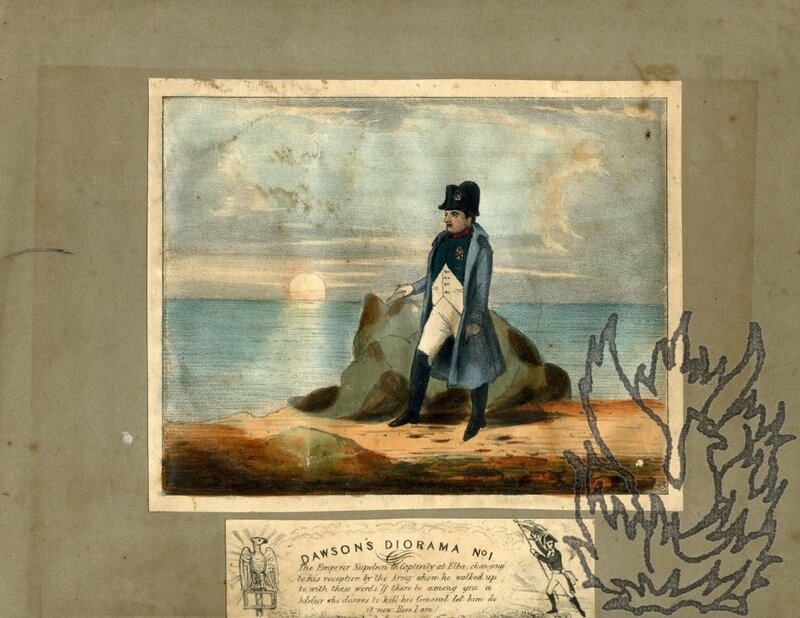 Bifolium (leaf dimensions 24.5 x 18 cm), 3 pp, on paper watermarked 1817. Text and image clear and complete on grubby and lightly-creased paper. The two leaves have been gummed to one another along a thin vertical strip, and it may be that they were originally separate. An unusual and scarce piece of ephemera. At the head of the first page is a characteristic neo-classical engraving (roughly 7.5 x 11.5 cm) showing a group of five cherub-artists, holding portolio, palette and bust, appealing to a winged goddess on a cloud, with a temple in the background. Autograph Letter Signed "Rich J Lane" to John Watkins, [photographer?]. "Wedy night, no date or place. Tow pages, 8vo, good condition. 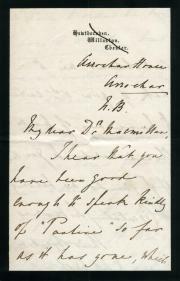 "I was at Mitchells' today on my way to you- and proceeded as far as the end of Piccadilly - but time failed me, & I returned at 1/2 of 3 - I had business on the way which I thought to put through - So I send the scraps - which I had put into the envelope & in the right place - though not directed to you - I mean to be with you very soon after you get this - but, for the fear of some unlooked for hundrance I send - I have seen the notice in the Ill[usterated] Lond[on] News - very nice." 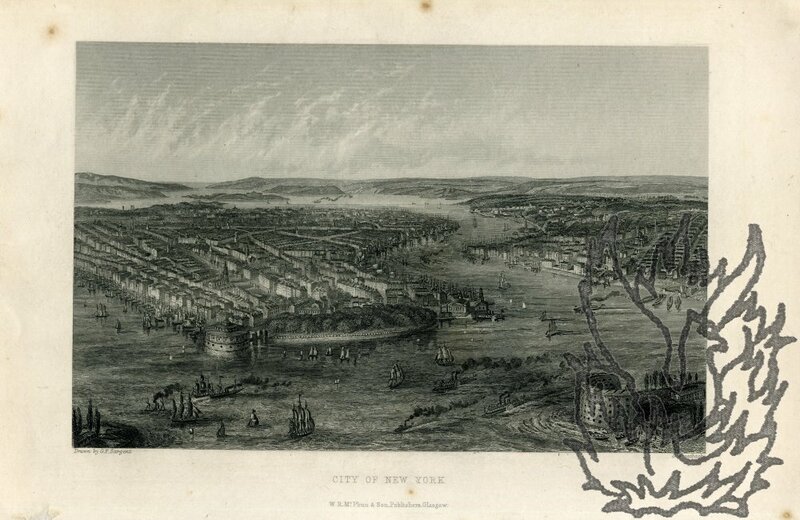 Original hand-coloured engraving by H. Adlard, from a drawing by W. H. Bartlett, captioned 'View from Gowanus Heights, Brooklyn. 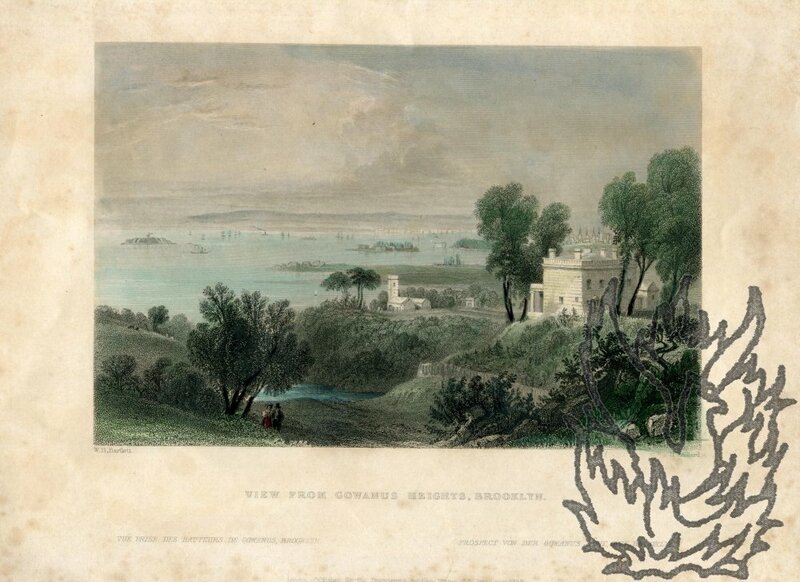 | Vue prise des hauteurs de Gowanus, Brooklyn | Prospect von der Gowanus Hohe, bei Brooklyn'. Dimensions of print 12 x 18 cm. Dimensions of paper 19 x 24 cm. Good, clear image on aged and foxed paper. A pleasant rural view over the harbour, with a house nestling between trees and a couple walking among the hills. Tastefully coloured in light blue, green, red and pink. 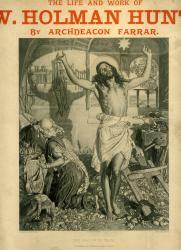 Printed on one side of a piece of cream paper, roughly 33.5 x 25.5 cm. Laid down on card. Clear and complete, with a good impression of the plate (22.5 x 17.5 cm), on lightly-aged, grubby paper, with slight wear to extremities. Presumably produced for display in a shop window. 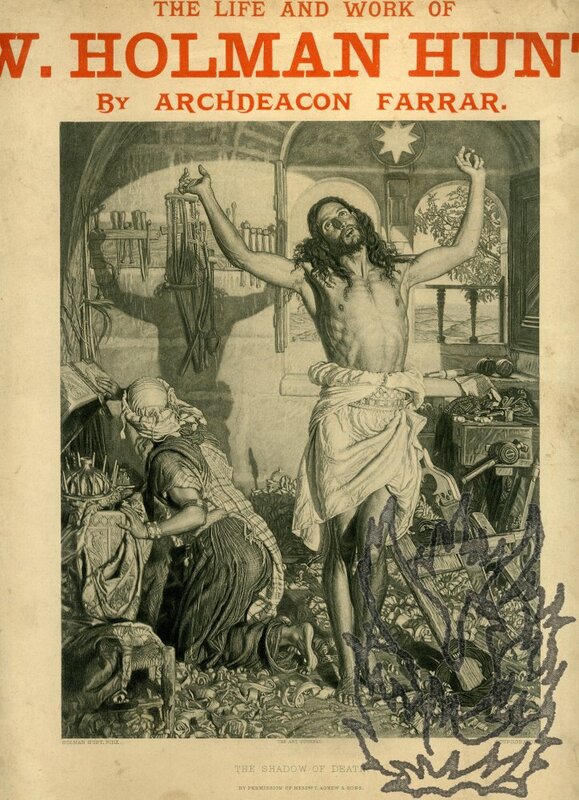 The title ('THE LIFE AND WORK OF | W. HOLMAN HUNT. | BY ARCHDEACON FARRAR.') at head, and 'SPECIMEN PLATE.' at foot, in large orange letters; the rest printed in black. Beneath the plate: 'THE SHADOW OF DEATH. 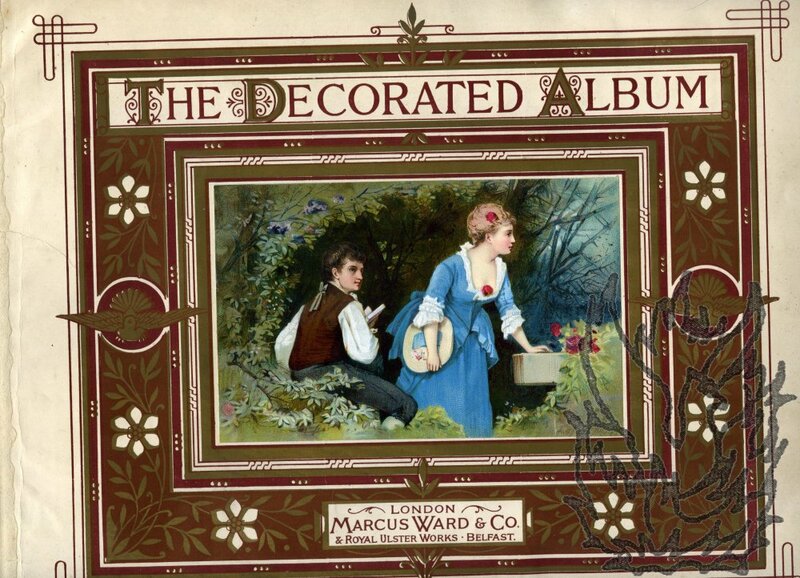 | BY PERMISSION OF MESSRS. T. AGNEW & SONS. 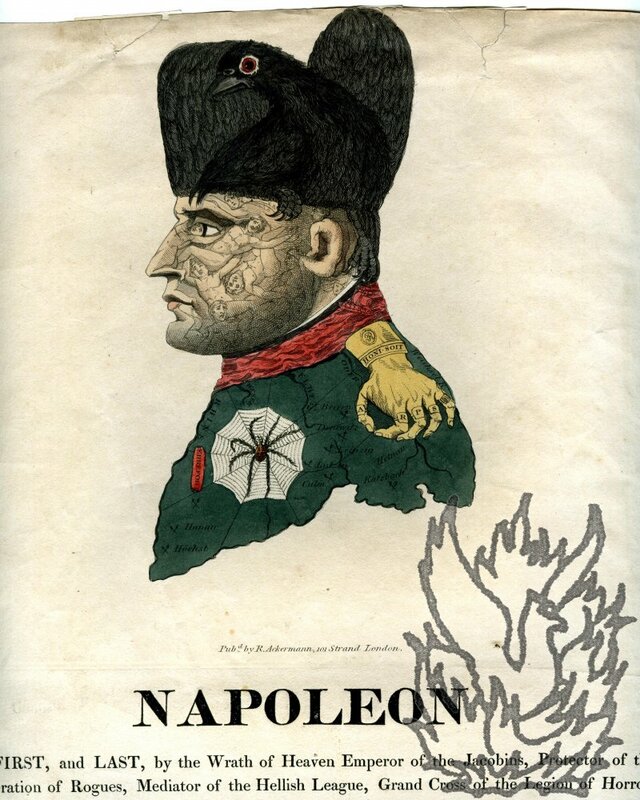 | LONDON: J. S. VIRTUE & CO.
French broadside celebrating the accession of 'Napoléon III, Empereur des Français. 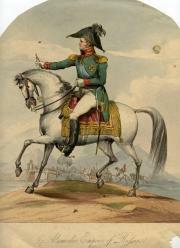 ', containing a biography, a panegyric poem, and a handcoloured engraved portrait. 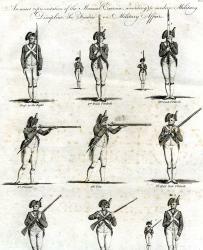 Printed on one side of a piece of wove paper, dimensions roughly 65 x 41.5 cm. Within a ruled border. 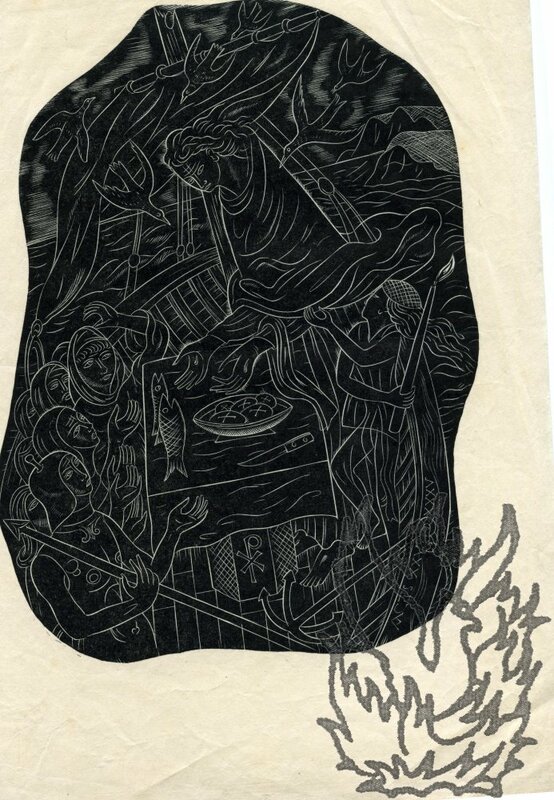 On lightly aged paper, with chipping and slight loss to extremities. Three closed tears (two of them affecting the portrait) have been repaired on the reverse with archival tape. Text entirely legible and portrait clear, bright and without loss. The full-length portrait (31 x 25 cm), crudely coloured in yellow, red and blue, depicts the Emperor, in full regalia, standing in a sumptuous throne room. Sixty-six line biography, arranged in two columns. Autograph Letter Signed ('Mel. 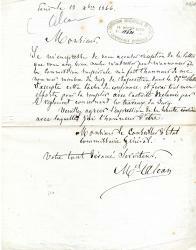 Alcan'), in French, to 'Monsieur le Conseiller d'Etat Commissaire Général'. Paris le 13. 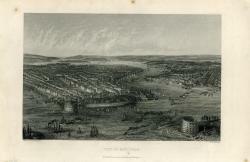 Dbre 1866'. 4to (27 x 21 cm), 1 p. Nine lines of text. Text clear and complete on lightly aged, creased and foxed paper. Small closed tear at edge along crease line (not affecting text). 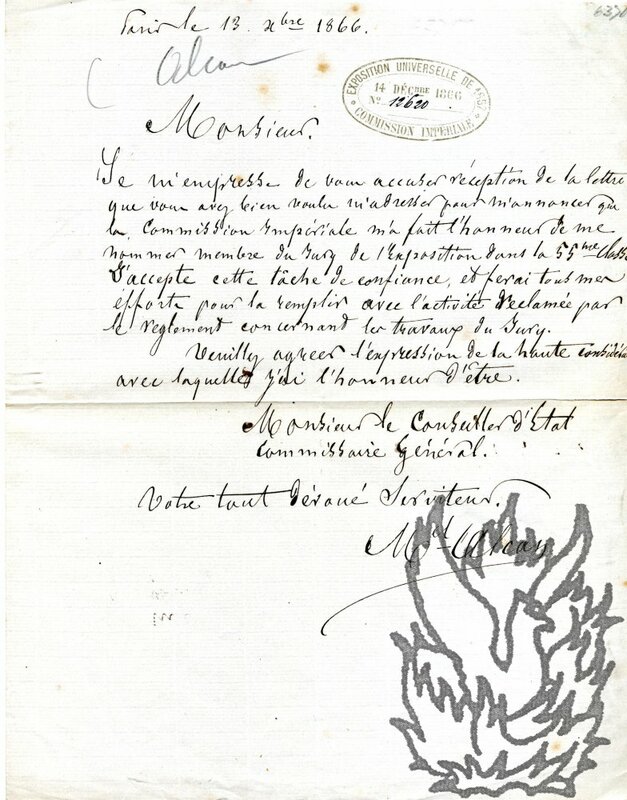 Bearing the numbered stamp of the Exposition Universelle de 1867, Commission Imperiale. Accepting the position, conferred on him by the Commission, of 'membre de Jury de l'Exposition dans la 55me. classe': 'J'accepte cette tâche de confiance, et ferai tous mes éfforts pour la remplir avec l'activité reclamée par le reglement concernant les travaux du Jury'. 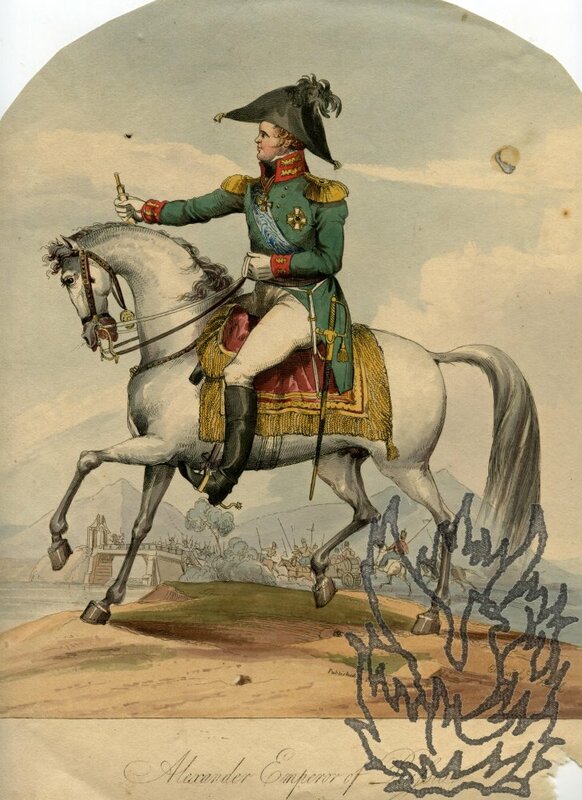 The caption ends '[...] a Soldier who desires to kill his General let him do it now. Here I am!' Dimensions of print roughly 13 x 17 cm. On original grey paper windowpane mount (22 x 27.5 cm). 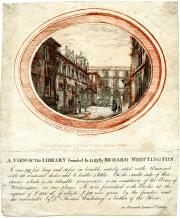 Engraved label (4 x 12.5 cm) beneath the print, with small remarque-style illustrations. Aged and spotted, with slight wear to the print. 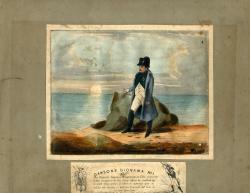 An unusual and attractive piece of Napoleonic iconography, a full-length image of the deposed Emperor of the French, characteristically attired, on a beach with his hand on a rock, looking out to a sunset at sea. 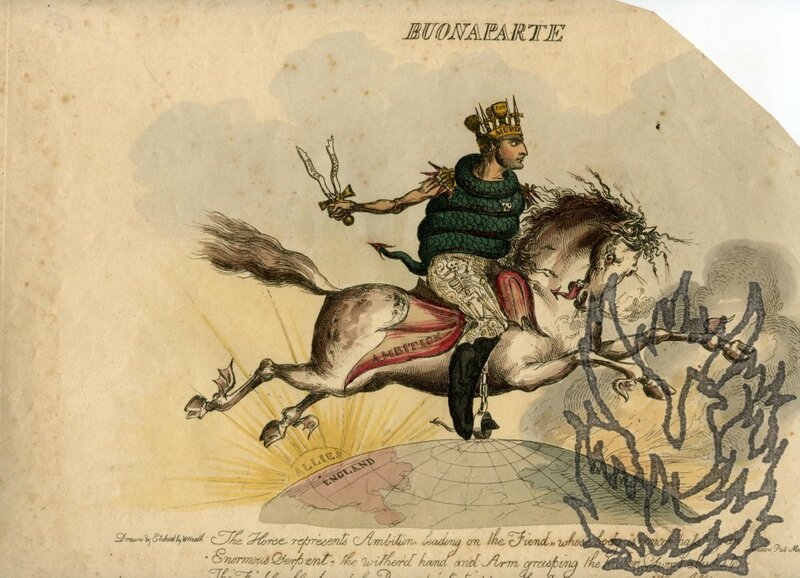 Allegorical coloured engraved portrait of 'Buonaparte', with explanation, 'Drawn & Etched by W Heath'. London Pub March 6th 1814 by Ackermann Strand'. BM 12195. Landscape. 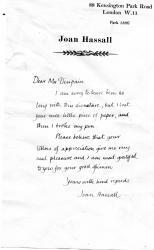 On a piece of wove paper. Originally a rectangle roughly 240 x 340 mm, but with an arc cut away beginning in the top left-hand corner and ending at bottom right. This loss has no effect on the text, and only the merest effect on the image, only trimming the outer edge of some very lightly-painted clouds. 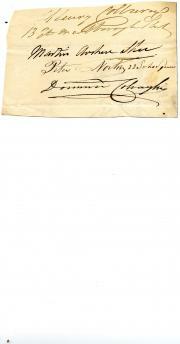 Apart from this good, on lightly spotted paper, with a thin strip from blue paper mount adhering to the blank reverse. The Months, Reprinted from "Little Folks"
Not paginated but twelve pages (Months! ), 4to, with detached original front wrap, chipped and marked, missing back wrap, contents good, in unrelated folder. 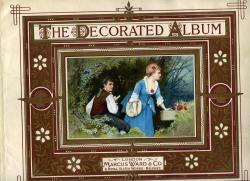 INSCRIBED top right of front wrap by Beatrice Crane, Walter's wife, and collaborator on this work (the verse): "Marguerite Marigold / from / Beatrice Crane/". Not listed in Masse. Pubd. 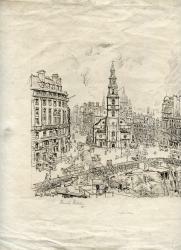 by R. Ackermann, 101 Strand, London.' Undated [dated by George to March 1814]. BM 12202. 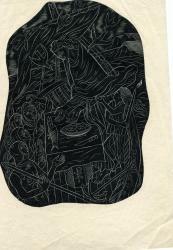 On piece of wove paper roughly 410 x 280 mm. On lightly aged and spotted paper, with slight wear and small closed tears to extremities. Closely trimmed at head and foot. Repair to blank reverse, which carries a strip of cloth from previous mount. Text and image clear and entire. Image roughly 190 x 120 cm.